WHAT GOES INTO AN EDIT? I interviewed Kendra Olson about how she works with writers as a ‘developmental editor’. 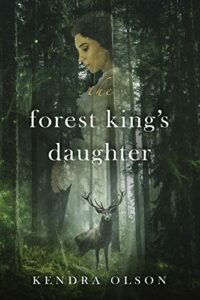 Kendra has an MLitt in Creative Writing and is the author of the historical fiction novel, The Forest King’s Daughter. She enjoys writing short stories and creative non-fiction, including book reviews. 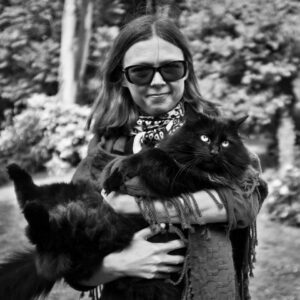 When Kendra is not writing she spends time with her cats and reading as many books as possible. Leslie: You’re an author and developmental editor. What was the process of learning these two skills? 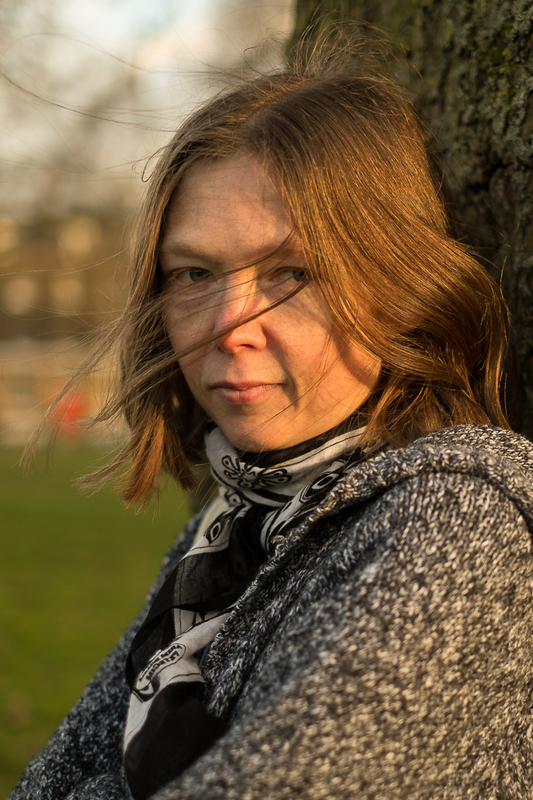 Kendra: My novel The Forest King’s Daughter was published by Pilrig Press in 2015. Prior to the novel being accepted for publication I’d taken several creative writing classes as well as having the novel edited. Seeing my own writing go from a few scrawled ideas on a page to a published novel was immensely satisfying, and I wanted to help other writers feel this same sense of satisfaction with their work. I did an MLitt in Creative Writing with The University of Glasgow. In addition to the workshops and literary discussion, the programme included a module in Editing and Publication. Gaining a deeper understanding of what made for an effective and satisfying story, and figuring out what it took to get there, was a valuable learning experience. While I enjoyed all aspects of the degree, I discovered that my strengths lay in literary analysis and critiquing. When I graduated, I looked for ways to practice my skills and to merge them with my desire to assist other writers. Eventually I settled on opening my own editing consultancy, specialising in developmental editing of fiction and creative non-fiction. To support my business practice I have taken courses with the Editorial Freelancers Association, of which I am a full member. Leslie: What’s the difference between a development editor and a ‘standard’ editor? How much of your editing is about proofing for typos? What are the most important editing approaches you bring to bear on a text? Kendra: Good question! The first thing I’ll say is that there’s no such thing as a ‘standard’ editor. While writers often refer to editors as a general grouping, different editors carry out different functions. Generally speaking, there are developmental editors, also known as content or substantive editors, whose functions include structural editing. Then there are line editors who are concerned primarily with the readability of prose. Line editing is something developmental editors also carry out as problems at the sentence level often relate to higher level problems in the text (for example, inconsistent character details affect a reader’s perception of the story and may mean that the author needs to spend more time developing the character in question). Then there are copyeditors whose primary concern is grammar and the technicalities of language. Finally there are proofreaders, whose job is to catch stylistic inconsistencies, typos and formatting errors. As a developmental editor my focus is on the big picture—is the story effective? Does the plot make sense? Are the characters believable? If the story isn’t effective, then why not? This usually involves a bit of detective work to discover where the writer went off track and how this came about. I like to think of what I do as ‘story-craft editing’ as it’s about evaluating the strengths and weaknesses of how a story is crafted. Developmental editing takes into consideration the author’s unique voice and writing style and works within it. The editor does not rewrite the work, but makes specific suggestions as to how the author can strengthen all aspects of the story to reflect what they’re trying to say in the most compelling way. Leslie: Can you tell us about the books you write as well as the books you’ve developmentally edited and what you’ve learned from those processes, please? In The Forest King’s Daughter, the year is 1886 and Swedish teenager, Ingrid Andersdotter, is about to face a series of life-changing events. When Ingrid forgets to close the barn door one freezing cold night, there will be dire consequences for her family. To make matters worse, her attraction to the new school teacher leads to ostracism and shame. Ingrid’s strong opinions and the pressure of the powerful village church to conform to ideas she doesn’t believe in put her at odds with her traditional community. Her only option is to leave her home and family. But is she brave enough to make an ocean crossing to a strange new land on her own, leaving everything she knows far behind? And will she find the freedom she dreams of if she takes such a risk? Told through the lens of a Swedish fairy tale, this epic coming-of-age story, is both a page-turning personal account of one feisty young woman’s determination to seek a better life, and the tale of many single women who emigrated from Sweden to America in the 19th century. Kendra: I mostly write historical and literary fiction and prefer to edit in these genres. However, I have edited books across a variety of genres, by writers who were both beginners and mid-career. Something I’ve learned along the way is that newer writers with plot-heavy stories can sometimes benefit from seeing their plot visually laid out. While many writers outline before writing, presenting a writer with their plot after the book has been written provides a different perspective. It’s often only once the writer sees what they’ve actually written in front of them that they realise the discrepancy between what they intended to write and what they actually wrote. As an editor I can then use this visual aid to point out places where the story can be further strengthened. Perhaps the most important lesson is that it’s important to strike a balance between showing the author where they’re going wrong and encouraging them towards an effective revision. If they come away from the process overwhelmed by the amount of work that has yet to be done then they’re unlikely to be motivated to rethink those areas of their story. This is why it’s important to take into account the strengths of a writer’s work as well as the weaknesses. Finding the right balance for any one particular author can be a challenge. Leslie: What have been the biggest difficulties and successes you’ve experienced as an editor? Kendra: Well, part of a developmental editor’s job is to teach writers elements of the craft. This is easier said than done. For example, some writers have trouble understanding point of view and why it’s important to stick to one character’s perspective per section/chapter. Amongst editors, this practice is known as head hopping—the viewpoint isn’t quite omniscient because the story isn’t being told by the metaphorical fly on the wall, but neither is it close third. Instead, the writer literally dips in and out of each character’s thoughts without warning. Amongst modern day readers this is likely to result in a spate of poor reviews, if indeed the book is read at all (omniscient is out of favour with modern day readers who prefer close third). Teaching a writer what head hopping is and isn’t is probably one of the most difficult tasks I’ve had as an editor. Another challenge I’ve encountered is teaching non-fiction writers who are trying to write fiction the importance of story elements, such as character development, plot and conflict. I’ve worked with writers who no matter how many examples I gave simply did not seem to understand what a story consisted of. In the end all I could do was to recommend books and courses, which may help further their understanding. As for successes, it always feels like a victory when a writer benefits from my feedback and goes on to create a much stronger story as a result of it. If that writer is also successful at publishing his/her novel then that makes me even happier. I had a couple of writers whose books I edited became Amazon bestsellers. Seeing their manuscripts go from good to great was very satisfying for me. While the hard work of writing and redrafting that story is theirs, being able to assist them on their writing journey felt like a privilege. Leslie: Gordon Lish, when he edited Raymond Carver’s short stories removed or changed about 70% of the text and ‘toughened them up’ changing character, tone and endings. I believe this has led to the contemporary fashion for ‘interventionist editing’. We now have Carver’s original text and the edited text to compare. Some people believe that Carver’s stories were strengthened by Lish’s edits, some believe that he seriously damaged some of the stories. What are your views on ‘interventionist’ editing? Is this fashion related to the huge growth in people attempting to get published? Kendra: I’m a freelance editor who specialises in working with self-publishing writers and, amongst the freelance editors I know, preserving an author’s voice and original intentions are of paramount importance. Of course, a book which undergoes developmental editing may change dramatically from what it once was. Ideally, these changes shouldn’t come about as a result of the editor trying to change the author’s intention for the story but, rather, should grow organically as a result of the editing process. For example, a writer may write and redraft a novel several times on their own and, every time, fail to see that the ending of the book does not follow naturally on from the story that is told. In this case, the editor’s job is to both point this fact out to the writer as well as to show them how this is coming about (in addition to providing suggestions for how to fix it). Changing an author’s story to suit the perceived demands of traditional publishing is something different. I’ve certainly heard about writers who’ve submitted their work to an agent who then requests that they turn the story into something completely unrecognisable—a literary novel into a mystery or a crime thriller which gets changed so much from what the initial draft was as to become a new story. The first question I ask myself when reading a new manuscript is: what do I think the author has intended for the work? Then I ask myself if they’re achieving this. It’s also important to advise the writer about the market. If they’re writing a romance novel which ends with everyone dying then it’s their editor’s job to tell them that most readers of romance novels want a happy ending. While the author might choose to ignore this advice, it’s important that they be presented with it so that they can make the most appropriate decision for their book. Leslie: Ezra Pound was very blunt in how he approached editing T S Eliot’s ‘Wasteland’ but Eliot always said the cuts improved his work. What’s your view on prestigious authors as editors and teachers? Are they often too blinkered for the job, or does an editor have to be at least as imaginative and experienced as the author being edited? Kendra: The most important aspect of editing is understanding the editor/author relationship and finding a good fit. A good fit for the author means an editor who understands your vision and will work with you to realise it. But, it doesn’t stop there. A good editor/author relationship is based on mutual respect and collaboration. Even if an editor comes with prestigious qualifications it doesn’t mean that they’re the best fit for your work. I usually recommend that authors have a conversation with any potential editor they may want to hire—either by phone or email. What’s their communication style like? Does this fit with your needs? Study their web pages—do they edit the genres you write in? What’s their approach? If possible, get a sample edit done. This, more than anything else, should give you an idea as to whether any particular editor is right for your book. Leslie: Is our society’s approach to books too individualistic in that we only give credit to the author, when the editor made a significant contribution? Kendra: While an editor may point out inconsistencies in a text and places where the author could improve the work, in fiction publishing, it’s the author who has the final say and who must then go back and work in those changes. So I actually do think it’s fair that the editor isn’t given credit. We’re just helpers on the writer’s journey. However, if an author decides they want to thank their editor in their acknowledgments, that’s always nice. Leslie: How has being an editor changed your approach to your own writing? Kendra: Discovering the weak areas in another writer’s novel and working with them to find sustainable, creative solutions helps me to see where my own writing is going wrong. It’s excellent motivation to keep at my craft—if an author I’ve supported can take their manuscript from good to great then maybe I can too. Of course, I’ve worked with some very talented writers and it’s always easier to advise someone else on their writing than it is to fix your own! Next week coffee expert Ender Turan talks about his life journey from rural Kurdistan to managing ‘Epicure’, a popular café in Berkhamsted, UK. Heaven’s Rage is a memoir that explores addiction, cross-dressing, bullying and the hidden sides of families, discovering at their core the transformative power of words to rewire the brain and reconnect with life. “A Robin Red breast in a Cage / Puts all Heaven in a Rage” – William Blake. You can read more about/buy Heaven’s Rage here. Purple is a coming-of-age novel, a portrait of modern love and a family saga. Set in the North of England, it follows the story of shy ingénue Matthew Lavender living through the wildness of the 60s and his grandmother Mary, born into a traditional working-class family. You can read more about/buy Purple here. Blue tells the story of Richard and Vanessa Lavender, who join a 90s feminist collective sharing childcare, political activism and open relationships. You can read more about/buy Blue here. Violet is about late-life love. It begins in 2003 with Beth Jarvis and James Lavender on a blind date in a London restaurant. Attracted by James’s openness, Beth feels an immediate, deep connection between his honesty and her own romantic faith. From then on they bond, exchanging love-texts, exploring sea walks and gardens and sharing their past lives with flashbacks to Beth’s rural childhood and her marriage to a dark, charismatic minister… Signed copies of Violet can be bought here. Thanks so much for having me, Leslie! Excellent interview, Leslie and Kendra! I know you are such a supportive writer, Kendra and this will be the key to your work with writers both starting out and established. They will be so lucky to work with you! Thank you for reading, Sally. Developmental editing can be very challenging at times, but I find it incredibly satisfying to help authors to grow their stories. And, yes, diplomacy is key to effective editing. If an author doesn’t feel their editor respects their creative vision then they won’t be motivated to make the suggested changes to the work. Lovely to meet Kendra, Leslie. It is much more difficult to do developmental editing. I think that Kendra has made it sound easier than it is. I had my recent book While the Bombs Fell developmental edited and it was a fantastic experience. Thanks for reading, Robbie. I’m glad you had a good experience with your developmental editor–everyone should! As I say, a good developmental editor should understand the author’s vision for the work and help them to make that vision a reality. Where developmental editing can be challenging is when an author doesn’t quite know what they want to do with a story. It’s then up to the editor to show them the various possibilities. This is much easier said then done! In my experience, authors who have a clear vision for their story, which they’ve developed over time, and who have experience of writing in their chosen genre tend to need the least editing.